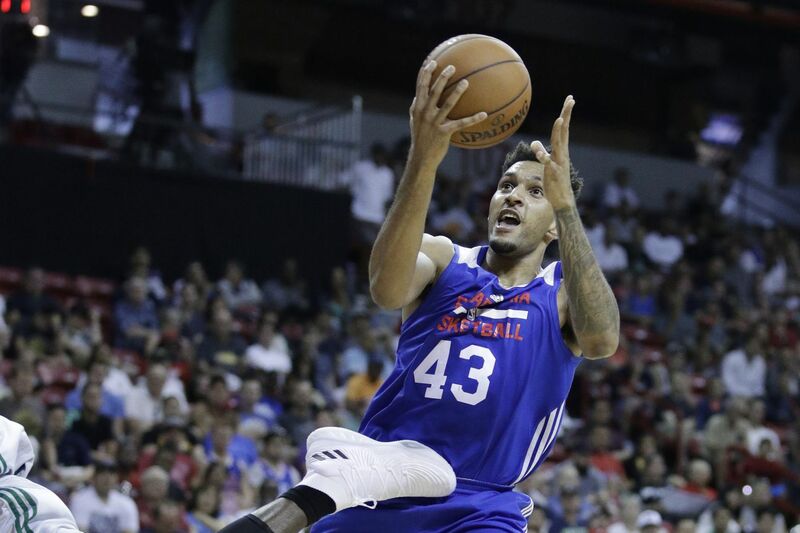 Jonah Bolden is officially joining the Sixers, the team announced Wednesday. On Wednesday the 76ers officially announced the acquisition of Mike Muscala and the signing of Jonah Bolden. Muscala, a 6-foot-11 power forward, joins the Sixers after spending all of his five-year career with the Atlanta Hawks. The three-team trade between the Sixers, the Hawks and Oklahoma City Thunder ends the tenures of Justin Anderson and Timothe Luwawu-Cabarrot in Philadelphia and sends Carmelo Anthony to Atlanta, which is expected to waive him in the coming days. "We thank both Timmy Luwawu and Justin Anderson for their contributions in growing the 76ers' strong culture," Sixers head coach and interim general manager Brett Brown said. "They are fantastic people, extremely dedicated NBA players and will be missed. I believe their new situations will afford them the opportunity to find themselves and give them every chance to stay and grow in the NBA." Muscala averaged 7.6 points and 4.3 rebounds per game last season. He's averaging 5.4 points and 3.1 rebounds in his career with a 37.8 three-point shooting percentage. Bolden, whom the Sixers drafted 36th overall in 2017, comes to Philly after spending a year playing with Maccabi Tel Aviv in Israel. The forward's four-year, $7 million deal is not guaranteed for the final two years. "We have been following Jonah Bolden for a while and are very excited to bring him into our program as a young, up-and-coming prospect," Brown said. "Jonah's style of play is that of a modern-day player and we're thrilled to grow our team with him."